and are relatively more toxic than neamine. 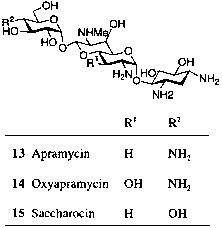 Of these antibiotics, hygromycin B (16), produced by Streptomyces hygroscopicus , and destomycin A (17), produced by Streptomyces rimofaciens , are used as anthelmintics for poultry and swine. The antibiotic SS-56C is structurally related to A-396-I, having streptamine (2) instead of 2-deoxystreptamine (1) in its structure . Another member of this group, produced by Saccharopolyspora hirsuta, has been characterized a 1-jV-amidino-1-jV-demethyl-2-hydroxydestomycin A and is relatively weaker than destomycin A (17) . In general, antibacterial activity of this class of aminoglycoside antibiotics against Staphylococcus aureus and Escherichia coli is lower than that of neamine, but these drugs are relatively active against Pseudomonas aeruginosa . Compounds 19 and 20 are discussed in the literature [40,41] (compounds 16-20). (c) 6-Substituted 2-Deoxystreptamines. These pseudodisaccharides show weak antibacterial activity. Compound NK-1012-2 (21) is a fermentation product of Streptomyces kanamyceticus , and garamine (22) is one of the minor components of gentamicin-producing organisms . (d) 4,5-Disubstituted 2-Deoxystreptamines. The most active members of this group are neomycins B and C (compounds 23 and 24, respectively), which are pseudotetrasaccharides produced by Streptomyces fradiae . These antibacterial agents are clinically important and are used as a mixture for treatment of infectious diseases caused by both gram-positive and gram-negative bacteria. 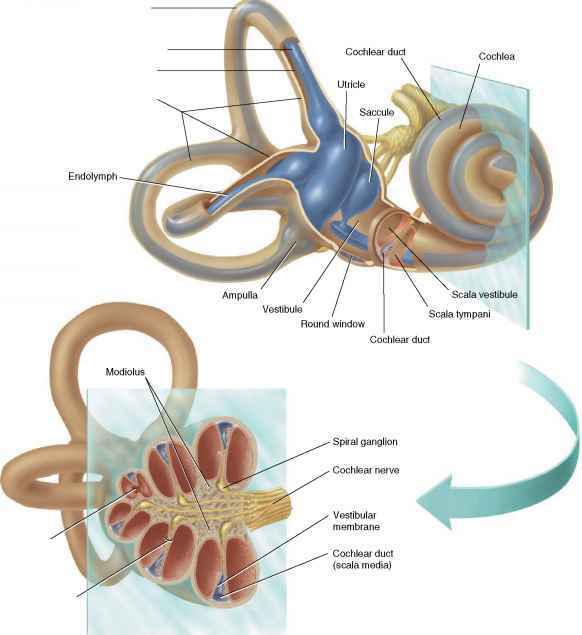 Paromomycins I and II (25 and 26, respectively) are clinically useful drugs, and as a mixture they are less toxic than neomycins. Neomycin B and paromomycin I (having five and six charged amino groups, respectively) show strong interactions with 16S ribosomal RNA in vitro and in vivo; they are good candidates for structure modification and synthesis of new drug .